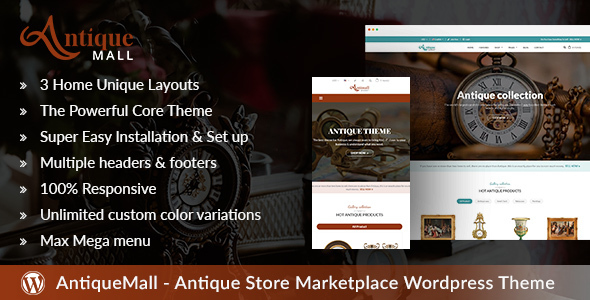 AntiqueMall – Antique Store Marketplace Wordpress Theme is a royally gorgeous theme which is developed painstakingly with the utmost care and attention to detail. 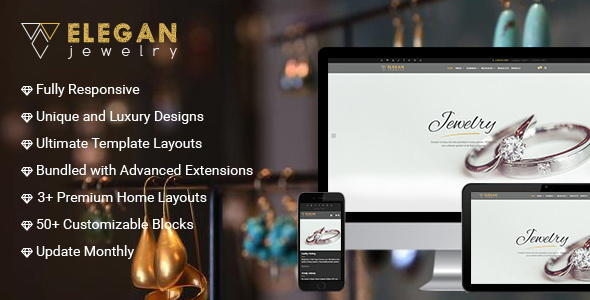 This theme will take customers to travel in the ancient times in order to understand the value of this item.This theme is built on a strong and flexible core theme with many features to show off your stunning work, flexibility, and usability. We have an Outsourcing Project Department that supports all partners around the global. If you need to hire a team or set up a full product Antique or do any customization, please feel free to contact us at project@netbaseteam.com to discuss further. 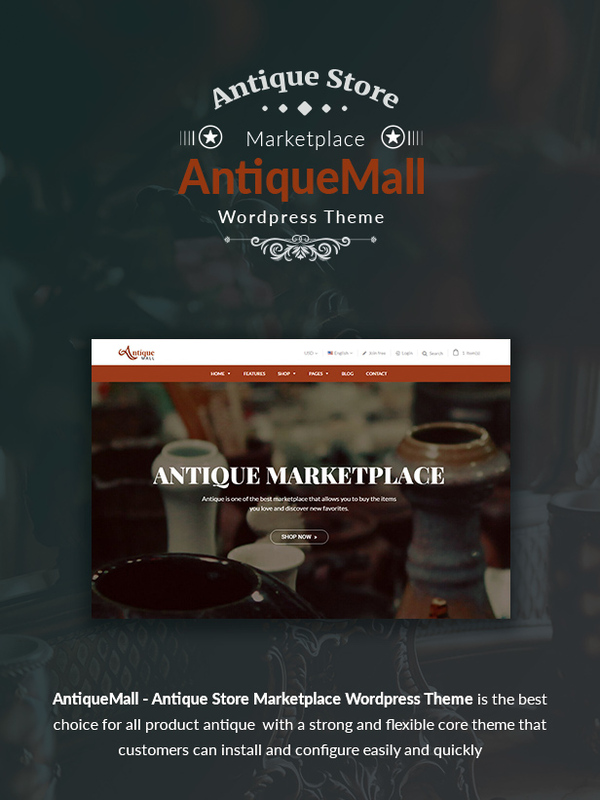 Antique Store Marketplace Wordpress Theme is a royally gorgeous theme which is developed painstakingly with the utmost care and attention to detail. This theme will take customers to travel in the ancient times in order to understand the value of this item. This theme is built on a strong and flexible core theme with many features to show off your stunning work, flexibility, and usability. Note: Please note that our package is not included a license key for “Ultimate Addons for Visual Composer” and “WPBakery Page Builder”. The theme was designed with the high-standard of UI/UX so your customer will have a complete shopping experience. The most important thing that makes our theme stand out of other competitors is a Powerful Core theme that helps admin creates anything without coding any line. Admin can change the header, layout product, page… with a few clicks. Make your site in the high level. Especially, we ensure the price is reasonable with a high-quality product and our dedicated team is available to support you whenever you need. Step 3: Click on Add to cart and then checkout. If the shop owner has a little knowledge about technology, with One click demo data, you can import the theme easily. Multiple headers: Our theme comes many header types that you can customize your website exactly the way you want. 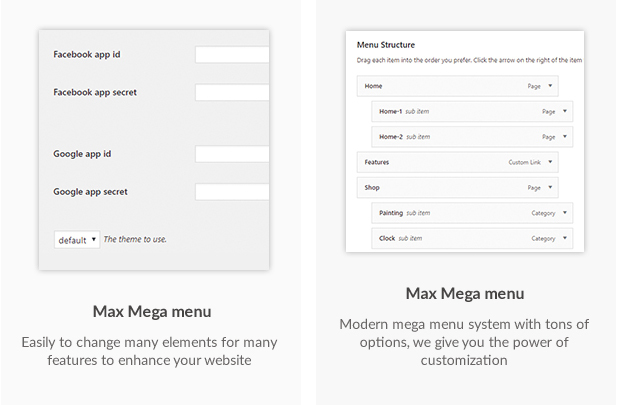 Multiple Footers: This theme includes a ton of footer options so you can choose your own suitable one. Various Google Fonts: Over 800 Google font which you can use and upload. Being stored on Google’s servers, displaying them will be fast & reliable. Powerful typography feature: Easily change and control your typography as well as fonts style to make your site stand out of your competitors. Unlimited custom color variations: Select and set dozens of color for your elements which are using our Custom Color Picker. Multi layouts for product category: You have many options to show your category with products on list or grid and you can change its content also. “Menu” layout for product category page: The products are displayed as the menu and this is the unique of this theme. Multi layouts for product detail page: You can edit title, sidebar, Meta layout, and tons of things to make your product page beautiful. Custom WooCommerce attribute: Show full of product information that customer can fully understand and they want to click adds to card button. 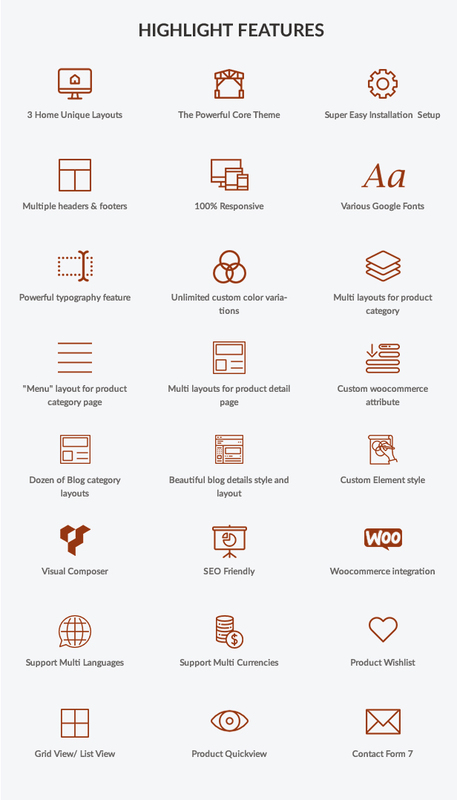 Dozens of Blog category layouts: Amazing features that will make your blog or magazine stand out among others. Beautiful blog details style and layout: You can design your own awesome blog page with many style and layouts that attracting readers. Custom Element style: Easily to change many elements for many features to enhance your website. Intuitive Drag and Drop Interface: Lightweight, easy to use interface that you and your clients will love. Creating pages and posts is easier than ever. No programming knowledge required! Easily Extendable: Third party developers, please join the party! Create your own plugins for Visual Composer for your themes or for sale here on Code Canyon. Frontend Editor: Enjoy a “What You See Is What You Get” page building experience with our amazing frontend editor. See how your content will look on the frontend, instantly, with no additional clicks or switches. Backend Editor: Prefer to work on backend? No problem! Visual Composer still supports native content management on the backend, with all the important functions and options at your fingertips. Object Oriented Code: Visual Composer uses the most advanced and most effective programming patterns, to get the best results for your site. Multilingual Ready: .po and .mo files included, for easy translation (BG, DE, ES, IR, FR, IT, JP, NL, PL, BR, RU, TW, and Arabic contributed by users). Template System and Library: Copy or re-use existing pages, save pages or parts of pages as templates. Set default templates for your post types. Access Template Library for free downloadable layout templates crafted by web design professionals and updated regularly. Responsive Design: Your content will look great on both desktop and mobile sites. Take full control over responsive design – define column size, offsets and display options. Instantly check out how your content is displayed. User Role Manager: Control user group role access to the features and options of Visual Composer, including drag & drop, templates, and elements – manage WordPress default and custom roles. Custom Post Types Support: Works with any post type… Yes, even custom post types! Lifetime Update – Free of Charge: We offer automatic updates, free of charge. Stay up to date with Visual Composer and receive our latest releases and enhancements. Professional Dedicated Support: Our high quality, dedicated support team is always on hand to help you out. Short code Mapper: No more short code copy/paste. Add any third party short code to the list of VC menu elements for re-use. Edit params, values and descriptions. Design Options: Control how elements look with new Design Options. Set borders, margins, paddings, border radius and background with a few simple clicks. Use color panel and alpha to enhance your design. Create up to date design solutions with ease. Multi-language Support: Visual Composer is compatible with qTranslate X, Polylang and powerful WPML. Build multi-language websites with Visual Composer. 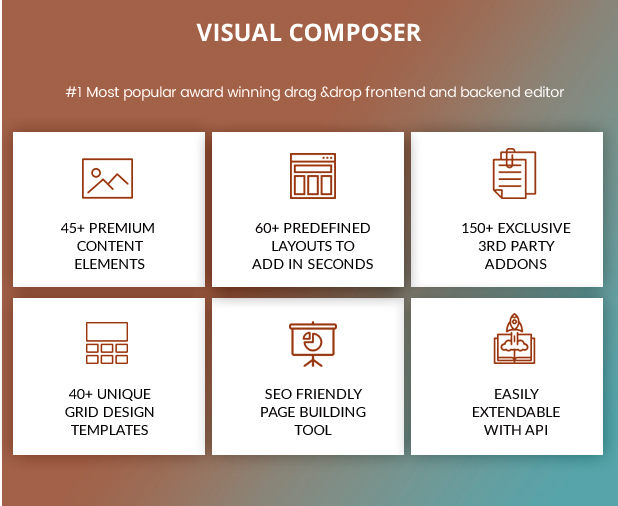 SEO Friendly: Visual Composer is fully compatible with most popular SEO plugins by Yoast. Make sure your page is getting the attention it deserves! 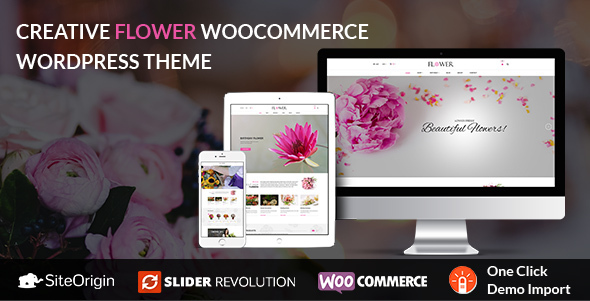 Woo Commerce Support: Running a Woo Commerce powered e-shop? No problem. Visual Composer is fully compatible with Woo Commerce. 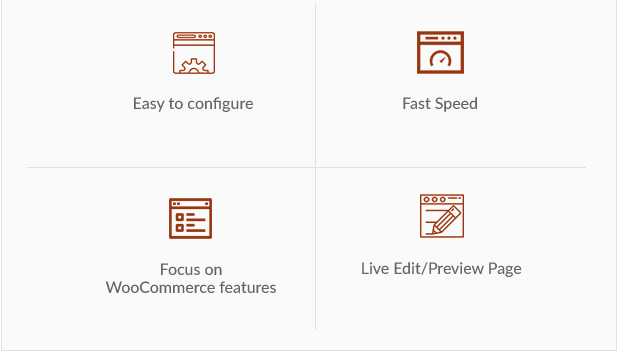 Even better – all of the Woo Commerce shortcodes are now available in the Visual Composer Element Menu, once you have both plugins installed. Advanced Grid Builder: Visual Composer has 40+ predefined grid templates for displaying posts, pages, custom post types and media, in grid or masonry grid. Don’t like predefined templates? Create your own grid element using Grid Builder. 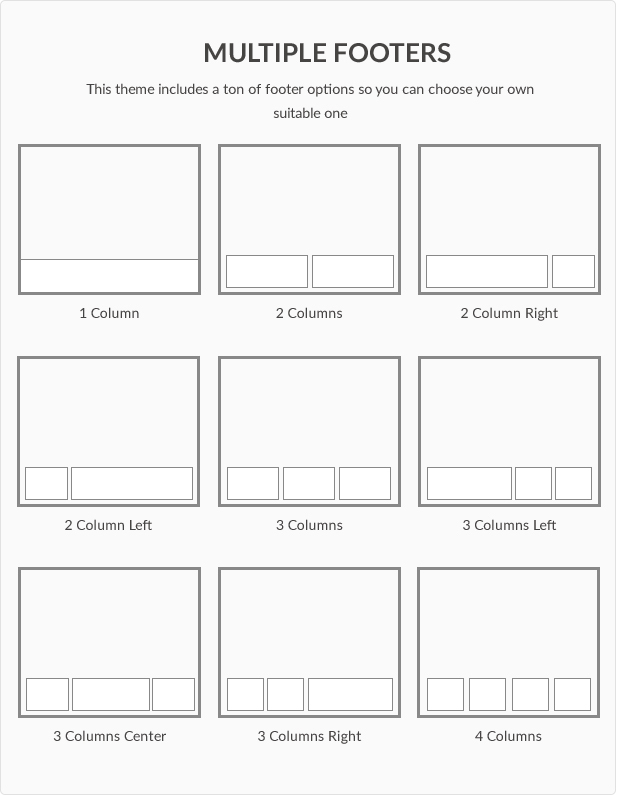 Full Width and Height Rows: Create full width and height rows with smart stretching options. Control stretching params – stretch just the background, or background with content. Control element placement – in the middle or on top. Build sections in seconds. Parallax Background for Rows and Columns: Add parallax style background to Visual Composer rows and columns. Combine Design Options, video and parallax background to create even more advanced layouts. 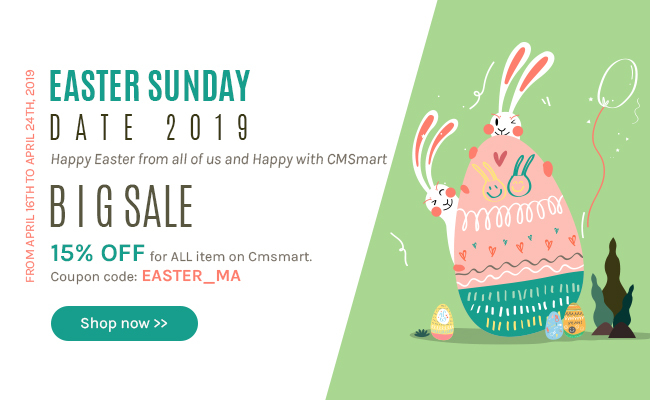 Add to cart some or all products in the wishlist: so that your users can decide whether to select some or all products in their wishlist and go to checkout page with a simple click only. Display links for creating, manage and search wishlist: so that your users can directly access them from the wishlist table. Send a promotional email: the best way to tell your users about special offers, or to propose a unique one by yourself! See the date of addition of a product in a wishlist: for a precise and aimed check to offer more information to your clients. Choose what type of button to display: decide whether to display a quick view button or a customized icon to access the quick view, and decide where to place it, near add to cart button or within the product image. Choose information to display: you can decide if displaying all information of just part of it. Customize style: you can decide colors of the “quick view” button and everything that is within the modal window. Place the quick view where you want: use the available short code to make your users see a specific product in any page. Support Multi Languages, Currencies: It easily translates or installs new local language & built-in currency exchange plugin change flexibly currency and language for your theme website. Slider Revolution: There is a collection of slider diversity for any type of business. 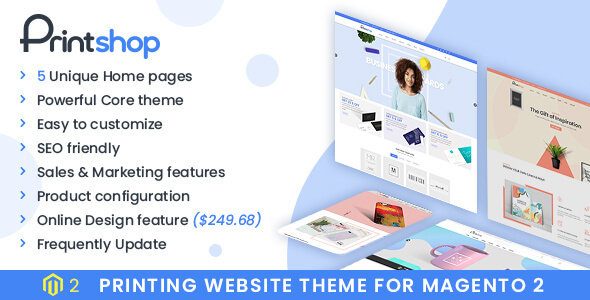 SEO Friendly: This theme was built following the best SEO to help your sales higher. With Yoast or All in One SEO plugin that we recommended you need to install intro this theme, we are believe your rank increase significantly. Free of Charge- After purchase, all updates are free of charge. Support Period – we will only support client who has a validated support period from Themeforest, if you are expired, please buy a new extension of support. Presales Questions – if you have any presales questions, please post on TF comment sections. Template User guider – the template come with a detail user guiders online format which is update often. 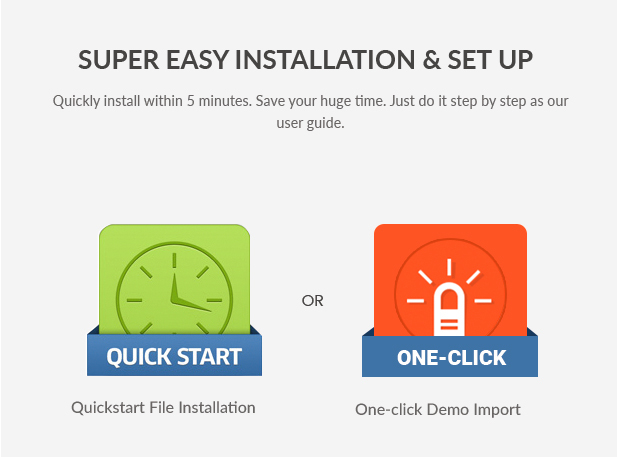 Quick start Installation Packages – you can set up a completely new WordPress with Quick start Package. We have detail documentation for you to install the templates on your WordPress sites and configure the WordPress plugins to work. Sample data – IS INCLUDED in the purchased package with the product images is placeholder. 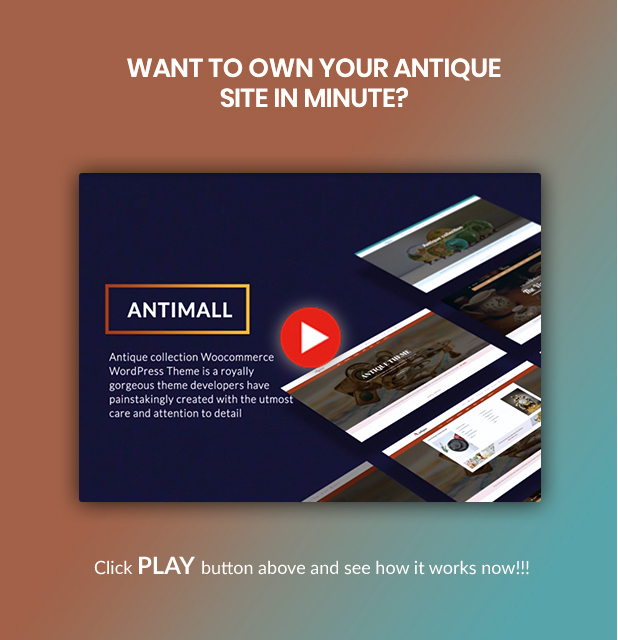 Installation Services – for any buyer who do not have time, skills, knowledge or for any other reasons can buy the WORDPRESS ANTIQUE STORE MARKETPLACE THEME Installation Services from our team, so we can install demo data with images and products, pricing, configure all the modules to work with WORDPRESS ANTIQUE THEME. Media Images – some product images, background photos, videos, banners…which use for demo template, is the subject of copyright and are not included in the purchase packages and sample data. We can replace them with placeholder images, so please use your own items. + Fix Import demo data. + Fix wrong function name nbcore_get_options => antimall_get_options. + Update Theme Setup Wizard. + Add more core theme options. 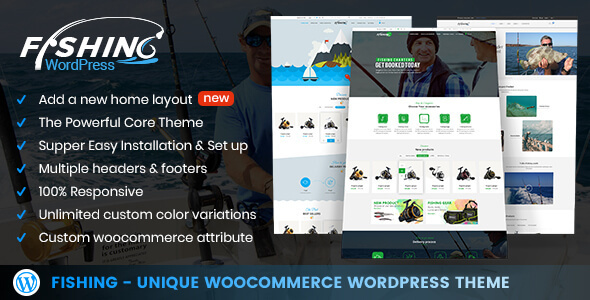 + Compatible with new version of WooCommerce. + Fix missing icon bug. + Fix Testimonial Element bug. + Fix Login/Signup pop-up bug. + Restructure core options and controls. + Add conditional dependencies for customize controls. + Add feature: export customize CSS to separate file. You can use the product for your own website or your clients website if you are developer. You need to provide purchase license during support and upgrade new version.